I'm about to do something totally crazy. 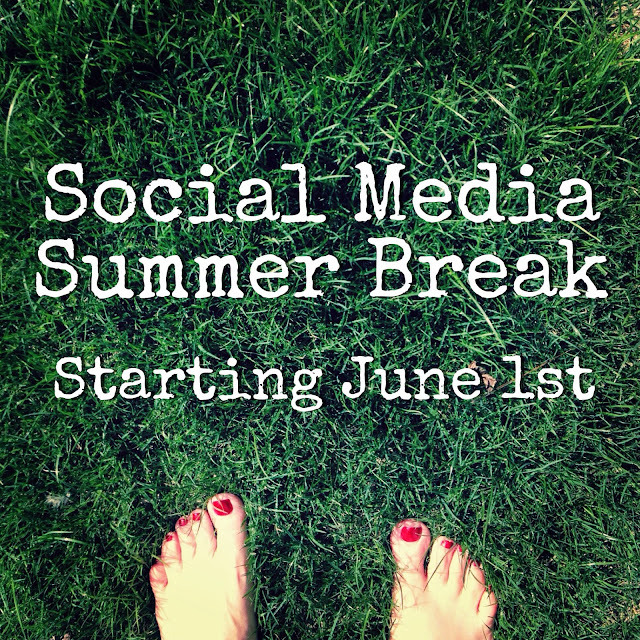 I'll be signing out of Facebook, Twitter, Foursquare, and Google+ for a summer break from social media. I'm still a bit on the fence about Instagram, which is my favorite site of all, the one I use quite a bit (I'm @roseknows if you want to come find me). I'm not quitting these sites altogether, I just need a little separation from the virtual world and a bit more time interacting with the world in front of me. I recently hosted a book club on Erwin McMannus' newest book, The Artisan Soul, which talks about being an original voice rather than an echo. I think lately I've been a little too dependent on the other voices out there, and it's affecting me in unpleasant ways. Plus, Facebook is becoming less and less fun as an expat. It's challenging to stay rooted here if so much amazing stuff is happening there. So it's time to step away for a bit and be that original voice away from the canyon of echoes. This does indeed have a little something to do with my poor neglected book. Some people spend summer reading, I'm going to spend it writing. Which requires purposefully removing some of the biggest distractions and time suckers. I'll still post here. Maybe more often. We'll see, won't we? I'll miss you! But I think it's an awesome idea!